After all the hype surrounding Oculus co-founder Brendan Iribe’s exit from the company in October 2018, many VR fans were concerned with the state of the evolution of the Oculus Rift. 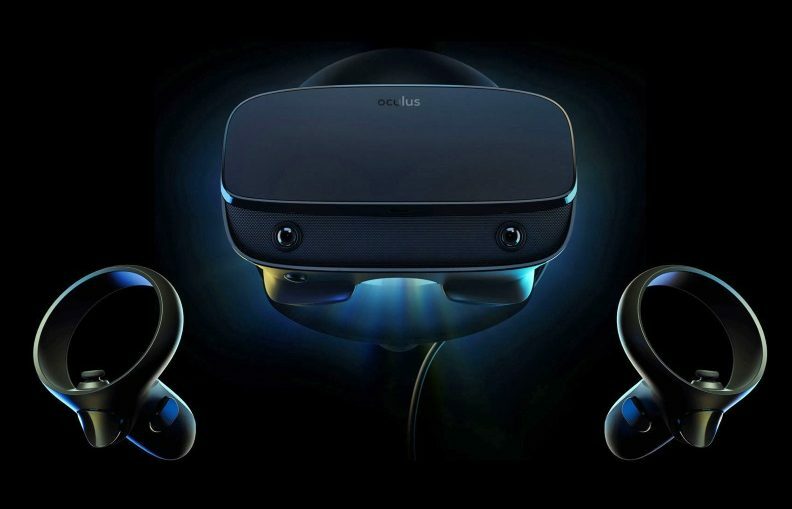 The Consumer Version 2 (CV2), which was believed to be in the works under the codename “Caspar,” was shelved, and Oculus instead set out to release an upgraded Rift CV1. Revealed at GDC 2019, the Oculus Rift S might not be exactly what a lot us imagined for the next Rift, but it’s nevertheless an impressive piece of hardware that brings a major overhaul to the aging Rift. Here’s everything we know so far. What’s new with Oculus Rift S? Oculus announced the Oculus Rift S at GDC on March 20, 2019. It’s the next evolution of the PC-powered Oculus Rift, bringing improved fresnel lenses, higher pixel density for less screen-door effect (SDE), Oculus Insight inside-out tracking that removes the need for external sensors, and all-around improved comfort and weight distribution thanks to a new design that was worked out in partnership with Lenovo. 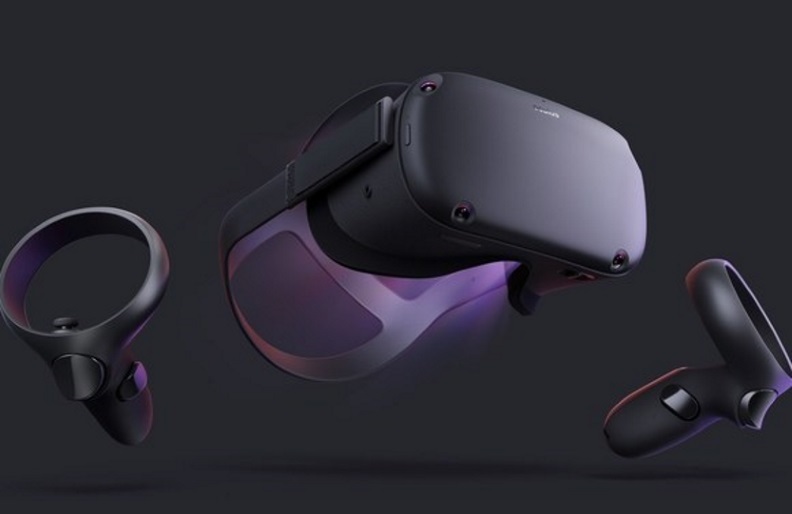 To remove the necessity of having to set up three or four external Rift sensors to get a quality room-scale experience, the Rift S uses Oculus Insight, which was first introduced with the Oculus Quest. With five sensors built into the Rift S headset, Insight is capable of scanning all items in your VR space for a true representation of the physical world. It looks for distinct features, like corners and edges, and builds a 3D map of the playspace, then combines it with data coming from the headset’s gyroscope and accelerometer to identify the headset’s position in space once every millisecond. Oculus worked with Lenovo’s Legion gaming division to redesign the Rift S, and the result is a headset that is apparently more comfortable to wear. It blocks more light around the nose, and the weight is distributed better to avoid it slipping or causing any pressure points. The halo headband still has a top strap to keep the headset from creeping down, but it now has a dial on the back that is used to easily adjust the fit. Instead of the same built-in headphones as the Rift, the Rift S is using the same integrated audio system as the Oculus Go and Quest, where sound seems to come out of nowhere (it’s actually coming from the halo headband). There’s also a 3.5 mm audio jack for third-party headphones. The front of headset looks a lot like the first Rift, though it has a bit of a cutout along the bottom where the sensors are housed. These sensors are part of the new Passthrough+ technology, which utilizes Asynchronous Spacewarp (ASW) to provide a better view of the physical world around you when, say, someone needs your attention and you don’t want to fully remove the headset. The Rift S has relatively low minimum PC requirements, but your experience in VR will only get better as you scale up in performance hardware. Here’s what Oculus has posted for required hardware. What’s the deal with the major shakeup at Oculus? In a Facebook post on October 22, 2018, Oculus co-founder Brendan Iribe announced that he was leaving Oculus to focus on the next big thing, which apparently isn’t coming from the Facebook-owned company. TechCrunch reported that Iribe and the Facebook overseers shared “fundamentally different views on the future of Oculus that grew deeper over time,” and that Iribe wasn’t happy with not pushing the boundaries of VR. Instead of creating a completely new headset, Oculus apparently had plans for an upgraded CV1 with inside-out tracking, much like the standalone Oculus Quest that was revealed at Oculus Connect 5. That’s now been revealed as the Oculus Rift S, which looks like quite a bit more than just a simple refresh. The Oculus Rift S is expected to launch in Spring 2019 and will cost about $399. If you can’t wait for the release and want to save a bit of money on a great VR system without all the new technology, you can still pick up an Oculus Rift CV1 for about $350.